My kidneys failed when I was 11. I had a stomach ache with severe diarrhea and vomiting. I was in two different hospitals before finally going to a military hospital where the doctor gave me one look and sent me straight to ICU. I was in hospital for over two months and almost died. Reading this article, I can see that perhaps the kidney failure was a result of another disease which was not diagnosed correctly. I was treated for a stomach bug. I ended up on dialysis and made a full recovery. The only symptom of kidney failure I have is my left flank and left kidney feel hot, internally and it has been going on close to a year. I finally had enough so I made a complaint to my primary care physician. On 3/22/19 I had received an abdominal CT scan which showed bilateral renal cysts. I'm assuming that these cysts are what's causing the burning sensations. Now this is done, I'm to follow-up with a urologist. My kidneys failed about six years ago. Even in the hospital they never told me what had really happened. I knew I had the right to be informed. I finally learned that my kidneys had been failing for decades due to having taken lithium years ago. I had cramps in my legs and in weird places like in my fingers. I was dehydrated a lot. I had swelling in my ankles and legs. 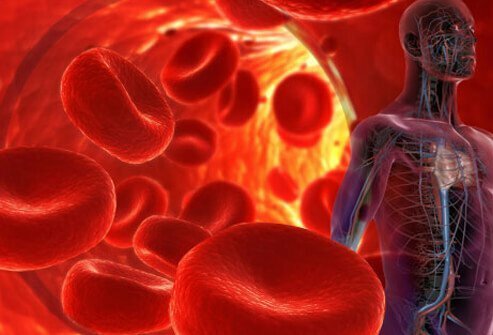 My doctors stupidly told me the edema was 'cosmetic' when actually, my kidneys were failing! My symptoms of kidney failure have been feeling exhausted, shortness of breath, and feeling dizzy and disorientated. I struggled with concentrating and completing household tasks. I'd go to work, come home, and fall asleep on the sofa until the next morning. I presumed I was getting old and that I had severe anemia. It turns out I have stage 4 kidney failure and will begin dialysis soon. I find it all so hard to believe. I sleep all the time. I feel confused and get very bad headaches. Everyone's symptoms seem to be unique. I was having a hard time walking, feeling weak, loss of appetite, frequent urination, and throwing up before being diagnosed with stage 5 kidney disease. I feel very weak, have no appetite and high fever because of kidney failure. I was diagnosed with stage 4 chronic kidney disease (CKD) about 4 years ago at the age of 36; my eGFR was 23 and has dropped to 17 over the past 4 years - the cause is IgA nephropathy. The symptom that got my attention and prompted me to go to the emergency room was that my foot got extremely swollen over the course of a few hours and something just felt wrong to me. Once I went to the hospital, my blood pressure was 210/150, but I had no other obvious symptoms of kidney failure other than a very swollen foot. In hindsight, I had noticed foamy urine a few times, but passed it off thinking I had just cleaned the toilet and it was due to remnants of cleaner in the bowl. I was also fatigued, but passed that off as well to having 3 littles ones and recently returning to work. Please let your loved ones know to have kidney function checked at their annual physical - mine wasn't checked at my well woman exams, and had been normal during my most recent pregnancy just 4 years prior to the CKD diagnosis. Around 40 days back my mother was diagnosed with acute kidney failure because of vasculitis. The doctor said it was 50 percent damaged. She in on dialysis now 3 time a week. Creatinine is in the range of 3 to 7. I am looking into some alternative solutions. There is lot of fluid getting generated in her body because of which she swells at face and feet. I was just diagnosed with stage 3 kidney failure, which was found in 6 months blood work. It was 51 6 months ago and they didn't mention it but was 49 this time so they told me. For about 2 years I have had excessive sweating and shortness of breath. The last 4 months I have gained 15 lb., my back hurts in the middle back and runs down my right leg at any amount of standing but sweeping, mopping washing dishes or changing sheets, and is almost unbearable. I stumble and fall a lot and feel like I am losing my mind. I have made an appointment with another doctor to see what he says because the doctor I have now wanted me to wait 6 more months. This scares me and I don't think I should wait. My husband had acute kidney failure do to the use of ibuprofen plus drinking beer. He is now on the mend and can never take ibuprofen again and has also quit drinking beer. He had severe leg and back pain and a very hard time breathing when he was diagnosed. My kidneys are functioning at 15%. They have stabilized and I am hoping they do not get worse. My symptoms in hindsight was being cold all the time and extremely fatigued. I had gastric bypass in 2010 and that is what caused my kidney failure. Hard to explain the exact reasons, but this was diagnosed by my nephrologist. Something to do with the small intestine not releasing the poison from my body. And this caused my kidneys to not be able to filter appropriately. This is a very rare occurrence after gastric bypass. I would probably do it again! But would hope my kidneys would not fail! I had my bypass converted to the "sleeve" weight loss surgery. And, I have received iron infusions for my anemia. I feel really good and energetic now! I am in Stage 3. Stages 1 and 2 didn't cause any symptoms that I recognized. I have other problems, too, such as early stage of RA (rheumatoid arthritis), and herniated discs in my lower back, which might have hidden them. I found out because I had high blood pressure and kidney stones and they found it during a routine blood test. I have extreme thirst, keep a 32 oz. large drinking cup of water by the bed and water with me at all times. I am especially thirsty when I walk for a long time. I have had top of my feet swollen but I also have tenosynovitis and don't know if CKD (chronic kidney disease) caused it. I have been more tired lately. I have only lethargy; I feel sleepy and am sleeping a lot. My GFR (Glomerular filtration rate) is 38 and my creatinine is high. These two are the symptoms that something is wrong. I was diagnosed after biopsy due to blood in urine 15 years ago with benign thin membrane familial syndrome (not sure of this name, but recently explained to me.) My renal specialist finally told me that my tissues lack collagen, a DNA problem that may or may not be causing this symptoms as the condition does not always lead to any problems. This is the second episode. Two years ago, probably due to dye I was hospitalized with kidney failure from which I recovered to my stage 3 normal (for me.) Wish I could find more on my condition. I didn't realize the condition affects all parts of body. I wonder if kidney failure can cause your hands and feet to have a constant numbing and tingling. A severe case of strep throat caused me to go into kidney failure. Before I could become eligible for a transplant, I needed to lose a lot of weight. While on dialysis, I was approved for gastric bypass surgery, and two months later I received a kidney transplant. I have never felt so alive before as I do after the transplant. My dad's age is 65 years. He is suffering with kidney pain and since two days he hasn't gone to the bathroom. One hour back he had vomiting twice. I am worried he has kidney failure. My daughter is 6 she had LCH (Langerhans cell histiocytosis) mass removed from her skull 2 years ago. I am concerned about her health, she has been complaining of stomach pain every day for about 3 weeks now. I took her to her pediatrician, did urine tests and all the blood work needed, and all came out good. Only one thing found was a small amount of blood in urine. My daughter had to go again a week later to see if the blood had disappeared but it still shows signs of blood. I am concerned about kidney failure. She will be scheduled to see a kidney doctor in 2 weeks. I have been stopping my urine a lot lately for four years. And now sometimes I get pain in my kidneys. Sometimes there is really strong pain. I don't know what's up with kidneys. I wonder if they are failing or if they are filled with water. I am really worried and afraid to go to a doctor. I am a 43 year old woman. I have been having severe pain lately in my lower back near my kidneys. Two years ago I was beaten near them. Last year at the hospital they took pictures of my back and it is all curved. He did damage. I wonder what could be going on with my kidneys. I know I don't have a urinary tract infection or kidney stones, wonder if it could be kidney failure. I just found out I'm at stage 4 chronic kidney disease. Both my kidneys are failing, they are running on 15percent function. I'm always tired and in pain eventually I will be on dialysis or need a transplant. I'm not sure what to make of it but I'm trying my best to keep strong and hope for a positive outcome. My symptoms of kidney failure were delay in bowel movement for 2 to 3 days but frequent urination. My 6 year old little boy has chronic kidney disease (CKD) stage 2. The last 2 months he has started soiling his pants most days, never been a problem before. I wonder if this could be linked to his CKD and if I should discuss this with his pediatrician/nephrologist. My wife had a kidney transplant 8 months ago which has gone fine up until about 2 months ago when she started to feel very lethargic, not able to walk a short distance. She has lost her appetite and she is now not drinking very much. She has appointment at the hospital every month. The last time she was there her kidney function had gone down from 30 percent to 24 percent. She was very dehydrated and she was put on a drip for 24 hours, which seems to have helped a little. But just lately she has not been drinking very much and eating very much either. The hospital doctors say the kidney is ok so I have no idea what could be happening with my wife. My kidneys are 49 to 51 of what should they be. I wonder if I should be really concerned. I have a pace maker, pulmonary fibrosis, not very healthy overall. But I stay positive and happy. I get very depressed at times. I have been taking lithium carbonate for over 30 years. My symptom of kidney failure is increased creatinine blood level. Now it is 3.2. Many years ago I was diagnosed with low blood iron. Iron injections did not change levels very much. Bone scans showed plenty of iron in the bones, but not in the blood itself. Years later and after many kidney stones (left side only) my blood pressure was about 190 over 90. Coversyl reduced that and now it is about 130 over 64. I have been told I have congestive heart failure. I have a pacemaker installed. Last year I played 120 rounds of golf and this year only 6. I am tired most of the time and cannot sleep flat in a bed. I suffer from severe edema. That started earlier this year when my weight went to about 210 pounds from a normal 185. I hyperventilate a lot. Water pills have reduced my weight without reducing the edema. I have problems with my balance and the shakes. Still I get things done and care for my 93 year old wife. I've been having issues using the bathroom, seems like it is aggravated more with potatoes, pasta, cheese or rice. I have extreme pain in my left side to the spine and now recently my spine hurts like I have a slipped disc. When I use the bathroom the pain isn't as severe afterwards... they say I have diverticulitis but somehow now after taking lots of ibuprofen and antibiotics in the last 3 months I believe it may be my kidneys. Reading most of these posts, the symptoms are almost the same as theirs. I'm on the heating pad a lot and after reading these posts will bring it to my doctor's attention. I found out about my kidney disease two years ago when I had a scare with my heart and they did tests in the emergency room. Since then, I have been under the care of a nephrologist. I am in stage 3 moderate kidney disease. I assume my symptoms are a side effect of the disease. I feel like I have the flu and am cold most of the time and. When I take my temperature, it is normal. I feel sort of dizzy, have a loss of appetite, food doesn't have any taste, I have shortness of breath, no energy, and am nauseous. I do not know what caused this problem, but I will do everything I can to control it if possible. I'm 24 years old I had kidney transplant about 2 years ago and first diagnosed when I was 20. They couldn't figure out what caused it but they guessed it was iga nephropathy (own immune system attacking your kidneys). When I first got sick I really thought it was a normal cold. I had a fever, was sneezing, nose running, etc. Then it got worst to where I was throwing up, had blood coming out in spits, vomit, urine, etc. Then it became really hard to breath and I couldn't lay down anymore as it would cause me to suffocate. I ended in the hospital and was put to sleep. When I woke up they told me both my kidneys failed and liquid was pushed up to my lungs which filled up and was causing me to suffocate. I don't want to scare anyone but to learn from my mistake of not going to the hospital for about 3 weeks after I first got the cold like symptoms. Go get a check up even if you think it is a cold! My kidney failure was discovered by accident through routine blood work at the time of my yearly physical. The first red flag was a high potassium level on two different blood draws over a two month period of time. I had observed several symptoms of which I am only now aware, and it is my hope that by sharing these, someone may decide to seek medical advice. The first symptom oddly enough was an "itchy back," another one was simply an “ill feeling” -- not being very hungry – sweating -- breathlessness -- a rapid heart rate -- and discomfort (pain) in the location of the left kidney. These "symptoms” did not appear all at once or I would have run to the doctor. They came independently, and so it was difficult to attach it to anything concrete. I now know that all of these are symptoms of chronic kidney failure. It is vital to be informed and educated. Be a water drinker. I did not hydrate myself ever. Now I try to love my kidneys. They do massive amounts of work for me and all they want is a drink of water. My creatine is 4.5, I am concerned about kidney failure. I have been diagnosed with kidney failure and I began to urinate 2 to 3 times a night. I was treated initially for neuro-sarcoidosis (sudden onset of foot drop and Bell's palsy), and when in hospital I had an acute kidney injury (AKI). At the time the emphasis was on diagnosing the sarcoidosis and the AKI was treated secondary. About 10 months later I developed pulmonary embolism and they discovered I was in chronic renal disease stage 4. I was put in touch with a nephrologist who had a renal biopsy arranged that confirmed that sarcoid had infiltrated my kidneys. I was commenced on high dose steroids and an immune suppression medicine to manage the disease. My patient has kidney failure. He has thrown up yellow clear fluid after he woke up. Actually I am making this for my mother. She is a diabetic patient since 12 years and also having medicines for high blood pressure. Recently she got fever and cold, after that her body started swelling. After doing the blood check she was found to have a high level of uric acid and also low blood volume, but her diet and blood pressure treatments are good. The doctor said that the swelling may be because of the low blood volume and he recommended her for a kidney checkup and it will be on Saturday. I'm a little scared about her condition, I don't know what will be the result, and am worried about kidney failure. It started with a physical that found blood in urine and stool. 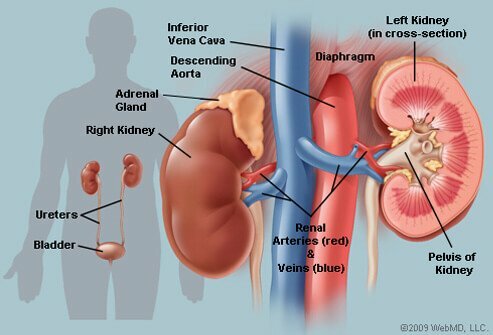 The patient of kidney failure has high blood pressure, diabetes, and been on baby aspirin for years. Little to no exercise and poor eating habits. I had no symptoms. I went to get a bronchoscopy done at the hospital and they spread a pneumonia infection throughout my body causing my kidney failure. A blood test indicated a buildup of potassium and later excessive fluids around the heart and lungs due to kidney failure. Fortunately the kidneys were eventually stabilized by carefully depleting the body of excessive fluid. Creating the right balance was critical to cure the condition, with further infection always a danger. My blood urea and creatinine are very high, first time I had the lab test. I have a wound on feet since a week and it is bleeding and there is a lot of pus. Dressing is done daily. Hb is 7.8 percentage and the doctor suggested scanning, which is showing that the kidney size is small. I have no other related problems. My son went in for a doctor's appointment for an injury during hockey. Just to be safe they ran blood work. After many additional tests they found out that he is in stage 4 kidney failure. He has been put on the transplant list and we are waiting for a donor. He is currently at 18 GFR (glomerular filtration rate). I have stage 4 renal failure. This last December I had surgery on an emergency basis as my colon burst open and I had infection in my abdomen. My doctor said, I won't qualify for a kidney transplant, as I have hepatitis C along with HIV. To me that really shouldn't make that much difference, but it will. I have lost weight and have smelly urine. My doctor says they are leaking proteins and only advised that I drink lots of water but I continue to lose weight. I am concerned that I have kidney disease. I received two shots of Prolia and it attacked my kidneys. I was in stage 4 but with diet now I am in stage 3B. I was extremely tired before the kidney failure. Blood test revealed HCT level of 32.6 and Hgb at 10.4. I had severe pain running up and down the right of abdomen and pain in the neck. I couldn"t stand up, it was too painful. I was diagnosed about three years ago with stage 3 kidney failure. I had no signs that I was aware of as I also have congestive heart failure since 1995. Now, I have itching all over my body, excessive sweating, pain in back, neck, shoulders and legs, as well as increased ankle swelling. I didn't have any symptoms. I went in for a stomach ache and they found a growth on my only working kidney. I was born with just one kidney and it is working at 5%. I am working on getting put on a transplant list. I am 18 years old. After going to the er for something else, I presented with Kidney disease symptoms, after getting some tests my doctors said I had kidney failure. Its scary to think that the symptoms were pretty much non existent to me. I did not realize I had quit urinating until my husband and I went on a long road trip. I didn't feel the need to stop to urinate at all. Thinking back, I was very nauseous, vomiting, and had horrible leg cramps. On the fourth day, I went to the ER and was admitted to the ICU. After five dialysis treatments I was on the road to recovery. I now measure my output just to be sure. I lost my right kidney to cancer in 2007. Now I am told my left kidney is failing. My kidney failure symptoms were constant light- to-moderate pain at first, then profuse sweating, very weak, and shortness of breath. I find it is hard to go, sometimes it feels like my whole insides are trying to come out. On tissue there is blood and small blood clots (I have had my uterus removed). Sometimes my urine looks bloody almost brown, it does not do this all the time, but sometimes it hurts so bad I'll go try and nothing will come except the pain. I have pain in my back and because this does not happen all the time my doctor has not seen the blood. Although I am loosing blood somewhere because I am anemic and have to take iron pills. Is there any test that you would recommend? I'm 37 years old and in stage 4 of chronic kidney failure. I was recently put on nine different medications and my kidney function is 25%. As soon as it drops to 20%, I will be placed on the donor list. I have gout and maybe lupus. I have a lot of pain in my legs, feet, back and shoulders, and I'm tired all the time. My family and friends are getting tested right now. We hope I will find a match soon, so I can avoid dialysis. When my kidney stopped functioning, I was having abdominal pains, so my doctor suspected it was something wrong with my gall bladder. An ultrasound found kidney stones. A subsequent CT scan showed an extremely enlarged kidney, and the doctors recommended removal. In hindsight, I was fatigued and had incessant itching on small spots on my hands (with no apparent rash). Without the abdominal pain, I may not have discovered the kidney failure until infection or sepsis set in. My husband had kidney failure due to polycystic kidney disease. While ill, he had severe fatigue, some pain, loss of appetite, anemia and eventually, congestive heart failure. He had a living donor transplant nine months ago. Before his transplant, they removed one of his very large, diseased kidneys. As a result of one of the diseased kidneys being removed and the transplant, he no longer has any of those symptoms. He still has one diseased kidney and is still trying to control his blood pressure, but he's feeling generally quite well. There is hope. When I had kidney failure, I had puffy eyes, my eyelids were twitching on their own, and I was urinating constantly around menstruation time or leading up to my period. I was also retaining loads of water and gaining weight around that time. I felt weak, my knees began to hurt, I had lower back discomfort, and I was extremely cold when entering places with air conditioning. I was dizzy sometimes, especially at night when lying down. My hair was breaking constantly, I was sleepy constantly, and I had no energy. Because I was getting older, I went in for blood work for a surgery and all my blood work was out of whack. My blood pressure was very high. My doctor put me on water pills and blood pressure medicine. Three months later, I was swelling and sleeping 14 to 16 hours a day. I had no energy. I went back to the doctor, and they took many tests. No one had taken a urine test, so I asked for one. I had protein in my urine, so they sent me to a kidney doctor. They tried many things in 18 months to try to keep me from dialysis, but nothing worked. A year and a half later, they put me on dialysis. I have been on it since February of 2008. I feel better then I did, but I wish that I would have started dialysis before I got so bad. They took 37 pounds of fluid off of me in a very short time. I am trying to get on a kidney transplant list. I had a bad infection, so my doctor put me on an IV antibiotic at home. A few days later, my legs began to swell very bad. Also, I was vomiting, had chills all the time, and had periods of convulsions a few times. I have never felt so horrible in my life. I gained almost 20 pounds and it all seemed to remain in my lower body (legs, feet and abdomen). Currently, I am beginning classes on living with kidney failure as well as having my family and close friends searching for a living kidney donor. Since 1999 have had yearly stent changes in my ureter which have caused kidneys to worsen over the years. Started having pain yesterday in the area of my left kidney and Ibuprophen (4 tabs 2X daily) is not working. Pain returns after a few minutes. I have my annual physical tomorrow and will have the doc check it further (blood work done Saturday). Hopefully creatinine level was checked. I had over time lost my appetite and became more and more winded. I could walk shorter and shorter distances. I was constantly panting and became very confused, and had great pain in my sides and was taken to the emergency room where they told me I had complete kidney failure and had just gotten there in time. I am now in treatment and trying to coax them back to life. I was always full of energy and a very out going woman until I was shocked with my hemoglobin dropping to 7 in my first pregnancy then going to 9 after delivery. The doctors did all kind of tests: blood, urine, ultrasound and even two bone marrow aspirations searching for any kind of disease or cancer. Their conclusion was that maybe my body is just like that. After one year when I started to feel more tired, had no energy to do anything and had an irritating feeling of pressure in my hands, I went again to see a doctor that immediately requested a kidney function blood test and ultrasound. She called me the next day to tell me I had stage 4 kidney disease. I had been anemic for about 7 yrs but doctors did not find out why because they were giving me all sorts of tests using dye (harms kidneys) because they thought I had cancer of the stomach, lungs or some other organ in my body. When they did not find it they gave up. I eventually became so fatigued I had to quit my job. I had a very unpleasant heart beat at times-too fast or skipping beats & itching all over my body. The doctor didn't believe me because there was no rash. Kidney disease is overlooked by the medical profession! I discovered my kidney disease by coincidence. My kidney disease is in stage 2 level. Symptoms start appearing only in later stages. I would say always get your selves diagnosed. Especially for blood pressure & sugar. Luckily, I became aware of my disease. One day I had some food infection due to food I had outside. My B.P. was high. I was cured in 2 days. My B.P. remained high for this period. Then my doc asked me to get my B.P. checked for a week. We then noticed that I was a high B.P. patient. Then he asked me to get my kidney scanned too & get a renal function blood test. We then came to know that I was suffering from the stage 2 renal disease. This was because of the ongoing high B.P. I am 31 yrs old now. This was diagnosed just 18 months before. I had a baby. She is healthy & me too. I used to get dizzy and sick to my stomach all the time after I ate. Also, my leg was always itching. Before I was diagnosed with kidney failure I was tired I felt like I had the flu and no energy at all. My symptoms were a back ache above the waist on the right side; it was like I was being tortured internally and nothing helped to relieve it. One of my kidneys ruptured and I needed surgery. I required blood transfusions, couldn't walk, and my kidney was swollen. I was suffering from loss of appetite, loss of stamina and an irritating sound in my abdomen. I got my creatinine level checked and it was 23. I was put on dialysis immediately. A few months later I had a transplant in September. 8 months after the transplant my creatinine levels again started shooting up and is 6.5 as of August two years later.